Astronomical student loan debts are one of the reasons our generation is having such a hard time getting any kind of financial traction. They’re downright brutal. But getting those in order will save you a lot of money in the long run. If your student debts are low interest, worry about any high interest loans first. Auto or credit card debts are common snares for 20-somethings. They have high interest rates, so the longer you put off paying those, the worse it’ll be. Any loan with an interest rate over 7%, are the debts you should tackle first. Bite the bullet and map out a plan for eliminating your debts over the next five years or so, so you can actually start saving for the future. The future – ugh…so ominous. Go through your most recent bank statement and categorize all your expenses. Pick out what you can cut back on (did you really need that 3 a.m. Chinese food delivery)? Now comes the hard part: sticking to a monthly budget. Know what you’ll earn and how much you can spend on what and when. Keep track of every penny spent and keep your eye on the prize. Spending well within your means is the first step towards having extra cash to save like a real grown-up! This personal budget planning spreadsheet is a particularly useful resource. This sounds like something vague you’d slap on a vision board or the like, but it’s an incredibly important habit to practice. Setting goals (and writing them down) truly does keep you on track. Where do I want to be in a year? Five years? Ten years? How do I plan to get there? How can I hone my skills and assets to make myself more valuable to employers? I want to pay off my debt within two years. I want to have a certain amount of money in my savings account by this time next year. I want to be making a salary within a certain range by the time I’m 30. I want to finish grad school with no debt. I want to buy a house at 30. I want to be able to start a family in the next ten years. Whatever your goals, map out a plan to get there and you’ll most likely find yourself achieving them quicker than you expected. Rather than draining your savings account (which is a thing you should now have and be actively and consistently contributing to) when somebody rear-ends your car, you should start an emergency fund. Create an emergency account and regularly add money. When you’re just starting out, it’s always a good idea to have about 3-6 months worth of your income stashed away for a rainy day is . There will be rainy days, and let’s be honest…you currently might not have auto or health insurance. Purchasing insurance is definitely a goal to consider if you want to be a true grown-up. Nothing says a quarter-life crisis like facing your own mortality! The absolute last thing on your mind is retirement. I recommend that you start putting away at least 5-10% of your earnings into a 401(k) or a Roth IRA. If your employer matches contributions on a 401(k) plan, go with the maximum amount they’ll match, because that’s just free money, man. It may seem like you’re getting nowhere fast, but that’s normal. 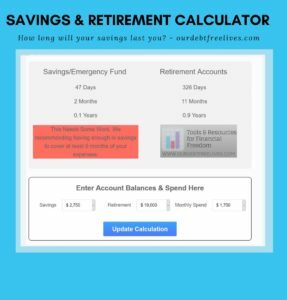 As you start making more money, you’ll be able to add more money into each of the aforementioned categories until the debts are finally gone, your emergency fund is where it needs to be, and you’re able to set more long-term goals for your savings and retirement funds. Now is the time in your life to give yourself a good hard kick. If you’re out of school, or will be soon, then it’s time to buckle down and be an adult. Jumping into a life without the structure of parental guidance or the education system can leave you feeling disoriented. However, you know it’s time to become financially independent, as well as financially stable. Financial stability means planning for the future like a responsible human being, and not blowing all your money on a night out with your friends. Figuring out where you stand financially and where you’d like to be isn’t easy, but it has to be done. Take a deep breath and set aside a day to do some planning. You’ve got this – you’re a grown-up now, even if you don’t quite feel like it. By the time you’re 30, you’ll feel like a financial ninja master. By 40, you’ll be a full-on money samurai. By retirement, you’ll be rolling in all the money you have worked so hard to save. Financial independence and early retirement will vary depending on your situation, wants, and needs. If you have a family with a van load of kids, it’s probably more than if you are single and just need to take care of yourself. If you’re living in a big city like New York, Paris or Tokyo, you need more than those living in smaller cities and rural areas. The important thing is that you know your number. It should be one of your main goals in life. Because once you reach that number, you are financially free. Ask yourself, “How much do I need to live how I want for the rest of my life?” Everything beyond that is gravy. Personally, I like gravy. By the way, that was secret number one for wealth creation. – Always know your number. Few great things are accomplished without a well-defined goal. Growing up my dad would always say “You have two choices! You can work for your money, or you can have your money work for you!”. That stuck with me, so when I turned 18 I started contributing to my 401k plan. Over the next three years my contributions averaged $100 a month, which at the time was making around $20k a year. After I turned 21, I got a job at HP starting at $26k. Now that I had an extra $500 a month in my pocket, I felt "rich". I decided I would add half to my 401k and the other half I could spend. This put my annual contributions at $4,200, plus HP's match of 4% ($1,040), which meant I was adding $5,240 a year to my portfolio. How long will your retirement and savings accounts last? Click here to find out! I knew that I wanted to buy a house, so at the age of 22 I created a budget that would allow me to have enough for a down payment when I was 23 years old. I finally had enough saved up for the down payment and purchase my first house at the age of 23. I lucked out and bought it towards the bottom of the market. 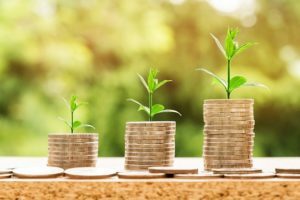 Over the next few years as my salary began increasing I made to continue to increase my savings. Now, I'm 29 and my portfolio is just over $158k. Looking back I would of never imagined that by 27 I'd have over $100k in my portfolio. More than once I saw one of neighbors crumble into an emotional heap when their careers stalled and their money train slowed to a crawl. They were shocked to find that they had little to nothing in reserve. It wasn’t like their business managers were ripping them off like you see on television or in the movies. Their business managers sent them monthly reports, informed their clients of all the major decisions and in most cases even had them sign documents authorizing their actions for their client’s money. Their clients just didn’t read the reports or understand the ramifications of their investments or finances. They were lazy or at least distracted by life like many of us. It’s easy to shove your finances off to an accountant or business managers, after all they are trained in finance. They know what to do with my money… right? Train wrecks rarely happen because of technical failure. They happen because someone is not paying attention. Take responsibility for your own finances. Cash your own pay checks. Pay your own bills. Invest your own money. It’s really not as hard as it look–plus it’s good for you. Nobody will watch your money like you. Now I am going to give you the next two secrets for wealth creation... Always do the math and avoid complexity. Don’t leave the math to someone else. Do it yourself. It is really not that hard. Most investments can be calculated on the back of a napkin. And if they cannot be calculated on the back of a napkin, then run away really, really fast and don’t look back! If you cannot understand how an investment works, then don’t invest in it! There… I just saved you a million dollars. I hope you’re happy. But seriously, complexity kills investments. The more complex a deal, the more likely it will fail. The main component to the financial crisis of 2008 was the failure of derivatives and guess what…almost nobody without a doctorate in mathematical analysis can really explain what derivatives do and how they function. The calculation of how a derivative works and when they “kick-in” is very complex. The failure of the derivatives caused a chain reaction that almost completely destroy the financial system of the United States and caused giant financial waves throughout the world. Now you are saying “Hey, the title of this article promised to help me figure out how much money I need. So, what gives?” You right. I won’t cop out and I won’t be lazy. Here is the math. You need to figure out how much you will spend each month once you are financially independent. That number is probably different from what you are currently spending. Here are a couple of reasons why. Once you have achieved financial independence, you do not need to spend money each month to invest or save for retirement. That is not to say that you don’t invest. You just don’t need to include it as part of your monthly nut. Also, do you plan on having a mortgage or car payments while you're becoming financially independent? Most of you will not. Do you need as much life insurance? Probably not. Will you have credit card payments? I sure hope not. What are you going to do with all your free time? Travel? That costs extra. How about hobbies? (I always wanted to build a fully equipped woodworking shop with every kind of lathe, saw and gig that I could possibly want to use.) If you don’t have a mortgage, then you won’t have that big tax write-off. Better budget for it (Try our Budget Calculator). You get the point. You will usually need to spend less on a monthly basis after you reach financial independence, even with the extras. So, do the math and find the number. For this example, let’s say that you have paid off your house, car and credit cards, plus you are a travel bug that likes to go on a nice cruise twice a year to someplace sunny. Your number is $20,000 per month or $240,000 per year not counting inflation (we will get to that in a moment.) That’s a big number for some, not so big for others. The important thing is that you find your number. 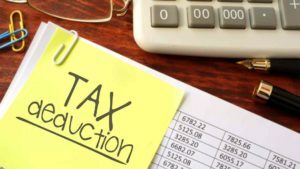 Wait a minute…we can deduct some things because you probably have some future income already secured. How about Social Security? (Yeah, it will probably still be around even with all the politics). Do you have a retirement account? How about a life insurance annuity? Do you have rental income from real estate? What about dividends from a stock or bond portfolio? I get quarterly royalty payments from the movies I made. That counts! All steady future income lowers that annual $240,000 number. So, let’s say after you count all your future income, you lower the number to $160,000. Now, how much money would you need in investable assets to generate $160,000 per year? Also, how do we take into account inflation? I believe a properly diversified investment portfolio can generate about 8% per year without taking too much risk. So, to generate $160,000 per year you would need about $2,000,000 in investable assets. But wait… we need to take into account inflation. This is where it gets a bit tricky, because some of your future income like real estate, social security and stocks may have inflation compensation mechanisms or increases, while others like some pensions and bonds may not. Again, it is important that you do the math and figure it out now, so you don’t end up short. So, let say we have calculated that one third of future income is covered by inflation increases and the other two thirds is not. I like the number 3% for inflation. It’s probably conservative and closer to 2%, but hey, that’s where the dart landed when I threw it at the inflation index dart board. Besides, 3% gives us a little cushion in case you live a longer than you planned. So, we need to make an extra 3% per year to cover the inflation on the $160,000 and an extra 1% on top of that to cover the loss due to inflation on some of our future income. That just cut our 8% interest in half and therefore doubled the amount of investable to about $4,000,000. Now don’t panic. Yeah, that is a big number. But it is a real number. And now that you know your number, you can make a plan to achieve that number. Believe me… it’s doable. Most of us will never be able to save our way to that kind of number. However, I never liked making 2% on my money. I believe in high-yields of 10%-14% on my invested money. I know they are achievable. So, enough for today. 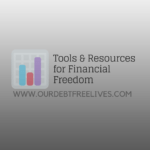 Go get started on achieving financial independence! Follow my blog in the coming months, and with a little patience, a little math and some thoughtful consideration, I will show you how to make your number.